Call me overexcited but yes, I am really excited. PRAKDIP HAS DONE! YEAAAYY!! Finally I can take the status: “ibu dari 39 anak” off! LOL. 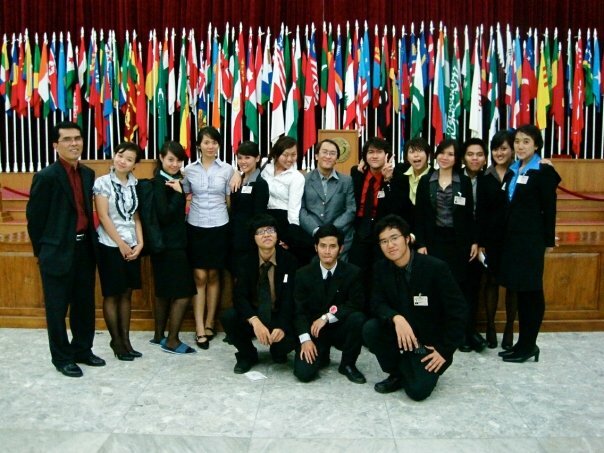 DELEGATES OF AUSTRALIA, DELEGATES OF BANGLADESH, DELEGATES OF BRAZIL, DELEGATES OF CANADA, DELEGATES OF CONGO, DELEGATES OF CZECH REPUBLIC, DELEGATES OF FRANCE, DELEGATES OF GERMANY, DELEGATES OF INDIA, DELEGATES OF INDONESIA, DELEGATES OF ITALY, DELEGATES OF JAPAN, DELEGATES OF MADAGASCAR, DELEGATES OF MALDIVES, DELEGATES OF NETHERLANDS, DELEGATES OF NEW ZEALAND, DELEGATES OF PEOPLE’S REPUBLIC OF CHINA, DELEGATES OF SIERRA LEONE, DELEGATES OF SINGAPORE, DELEGATES OF SOUTH AFRICA, DELEGATES OF THAILAND, DELEGATES OF TURKEY, DELEGATES OF UNITED KINGDOM, DELEGATES OF UNITED STATES OF AMERICA, DELEGATES OF VENEZUELA, DELEGATES OF VIETNAM, and WTO. 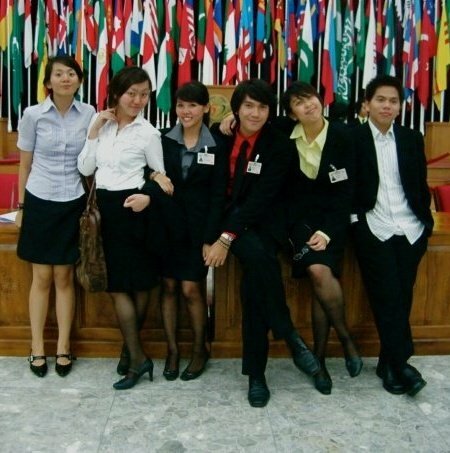 My dearest best friend and the chief of Diplomacy in Practice 2009: PUTU AYU NATYA SHINA NANDA. Thanks for your great efforts in this year diplomacy in practice. Thanks for your advices and supports as my best friend, and thanks for your patience and firmness as a chief. You’ve done extremely great, dear! CONGRATS!!!! My dearest ‘mama of the five stars’ a.k.a. 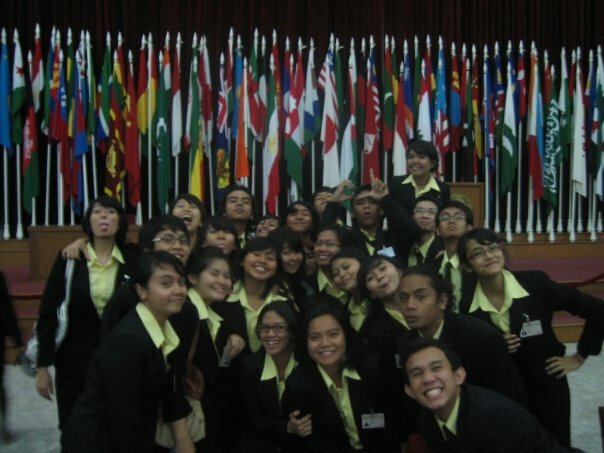 the first vice of Diplomacy in Practice 2009: INEZ NATALIA. Thanks for the patience. You said, the five stars are the best nugget you’ve ever tasted. And for me, one of those five stars, you’re the best nugget producer ever! You successfully blend us together so we finally made it! Thanks for those support you gave and thanks for understanding me. And thanks for the morning call! My dearest best friend and my best second man ever (and yes, you’re the best twinos i’ve ever had!! ): AGATHA ROULINA TAMBUNAN. You’re RAWKS, giiirrrll!!!!! Finally we made this! FYI, the first person I want to hug when prakdip has done is YOU! YES YOU! My best twinos ever!!!! Thx for your big efforts and reminder in every LO tasks. I don’t know how hard would it be if you weren’t here. The most prettiest third man I’ve got: CRYSTAL YOANA TANARA. Thanks for being a great third man and thanks for helping me take care of our LOers. It’s not easy taking care dozens kids off-hand. But, hey! WE MADE THIS! Thanks lots crystal. 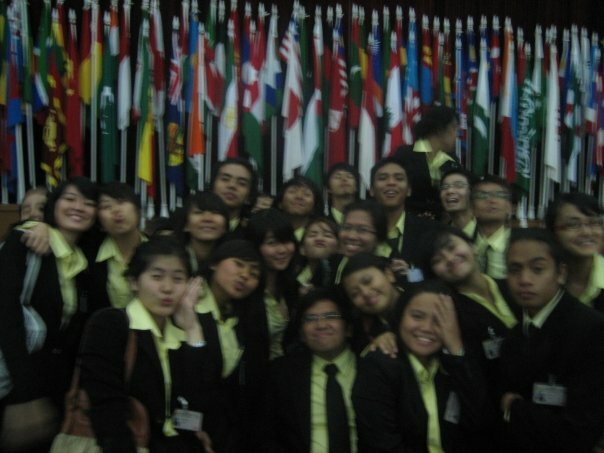 And thanks for being a great LO for Delegates of France. I’m extremely satisfied! Thanks lots, Tal!! ABI, BELLA, DANUR, DIMITRI, GILANG, GLADYS, HIZKIA, INAY, KHEKA, MARYA, NOVI, PIETER, WIBOWO, YOEVITA, YOSEF, AGUNG, ALBERT, ANITA, CRYSTAL, DINASTY, DINDA, ECAK, LUKAS, NICEA, PING, RAGEL, RHEMA, SHADY, VANIA, ARUM, DEVI, KEVIN, OLGA, PAMPAM, PRITA, STELLA. Thanks for your great efforts! Most delegates (or maybe all delegates) were satisfied with your works! I know your feet must’ve been hurt, you must’ve been so exhausted, dehydrated, hungry, tired, sleepy. But you still deliver the best of you to serve the delegates. THANK YOU VERY MUCH!!!! BABED, VYO, ANDREA, LIDYA, MOMON, TIWI. Wow~~! 4 thumbs up for your works, fellas!!!! It wasn’t listed on your job description, but YOU MADE THIS!!!! fabulous! Sorry for those sudden notifications and late nite SMS. Dunno what would happen if you guys weren’t there. last but not the least to ALL COMMITTEES, ALL LECTURERS, and ALL DELEGATES for the cooperation, support, and understanding. Especially to CARLA CASANDRA. You’re really care about LOers. Thank you!!!!! Previous Meine Wohnung ist ein Traum!